Hello friends! I'm back today with another What I Ate In A Day post (you can see last week's food diary here). I'm vegan, so of course everything I'm sharing is free from any sort of animal products/by-products. Of course I drink a ton of water throughout the day - I try to get in at least 8 cups every day. This past weekend my husband and I went to Montreal for the weekend to celebrate our first wedding anniversary. 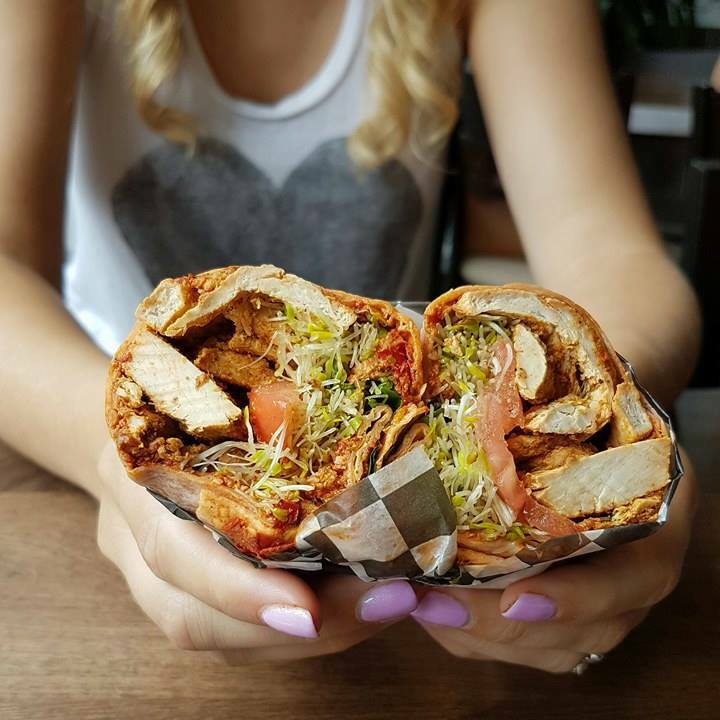 Montreal has an incredible amount of vegan and vegetarian options, so we definitely did not go hungry! We did however sleep in, so our first meal of the day was lunch! We decided to stop by Resto Vego after seeing great reviews on Happy Cow, and I'm really glad that we did! I went for the Roasted red pepper pesto sandwich, which was absolutely incredible! I found this restaurant to be really decently priced, as I believe that this wrap was $5.50, and it was quite filling. My husband and I are huge Menchie's fans, but we kept seeing Yeh! all over Montreal so we had to try it out. They had one vegan option - Dole Mango Sorbet, and we topped it off with fruit. 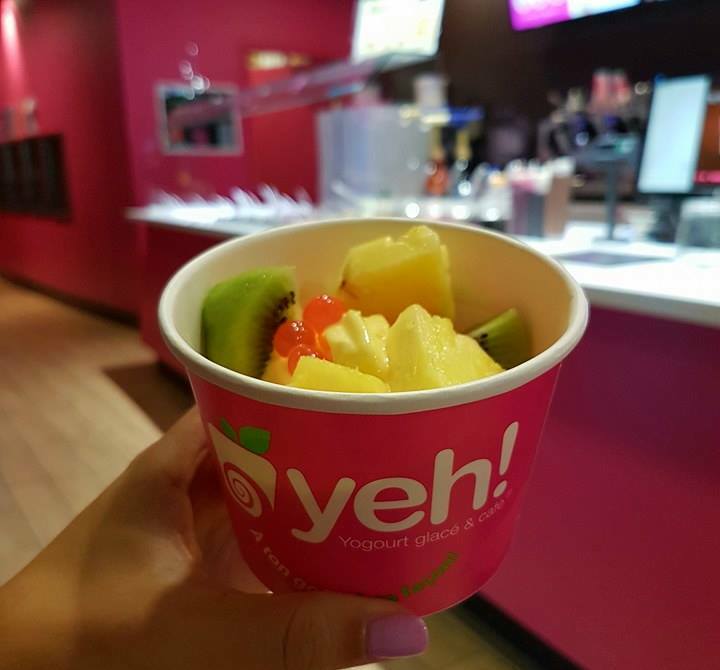 This place seemed quite a bit more expensive than Menchies, but the sorbet was good and hit the spot. We went to L'Gros Luxe for dinner, which is a vegetarian restaurant with many vegan options! 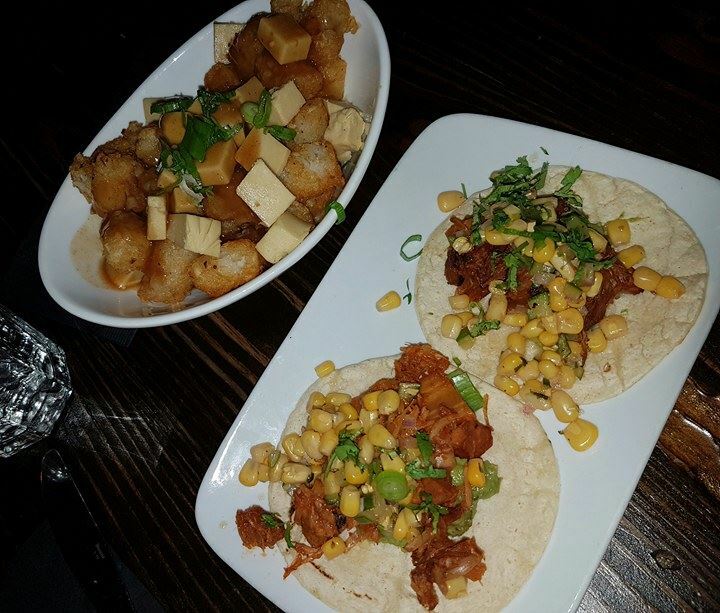 I had Vegan Poutine & Jackfruit Tacos, both of which were absolutely incredible! My husband actually said that this was the best poutine that he's ever had - vegan or not! 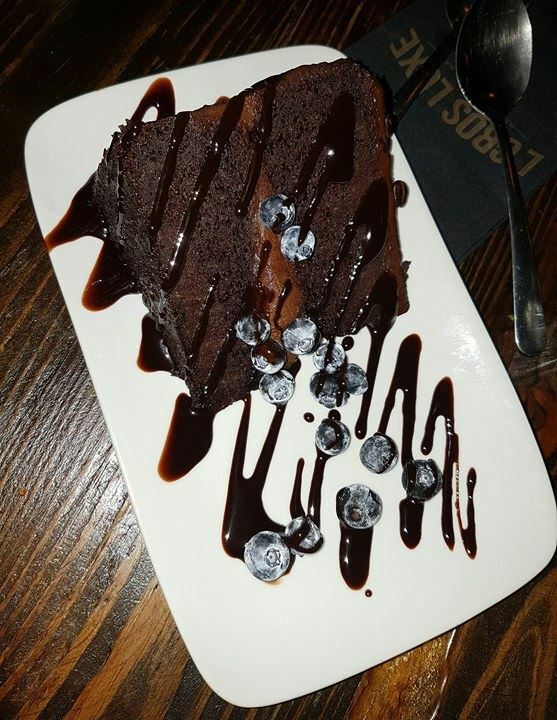 We also ordered dessert at L'Gros Luxe, because who can say no to Vegan Chocolate Cake?! 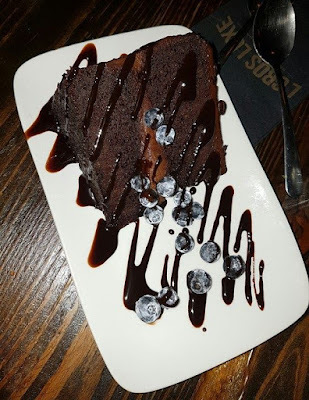 This cake was just divine - if you're ever in Montreal you need to give this a try! L'Gros Luxe had a really cool vibe to it, and it was packed when we went!